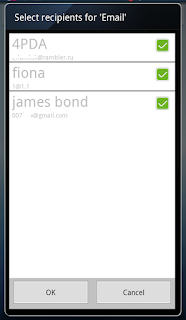 Animated Widget Group Contact supports possibility to send email/SMS to several contacts. You can't arbitrary set of contacts - you are able to select from contacts, registered in Group Contact only. Tap on widget, select "...", select "Group Contact Action"
You are able to send email to all three contacts and send SMS to Fiona only. BTW: there is no standard for separator between phone numbers: some applications use ",", others use ";". 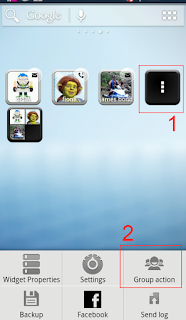 So, Animated Widgets suggest both variants.